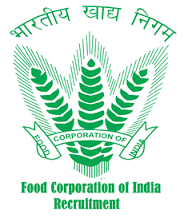 FCI Going to conduct JE junior Engineer Civil Electrical , Mechanical , AG II Hindi , Typist Hindi , and AG III General , Account , Technical,. And Depot cadre . there are total no of vacancies 4318 including various categories. Selection of the legible candidates will be done through the written examination. written examination will comprise question from GS General Study, Latest Current affairs and current event , Reasoning , Math , English, etc . is expected more then 10 lakh candidates will be appear in this examination so start your preparation for Bhartiya Khadya Nigam Bharti pariksha 2016 . we are continuously publish the previous year SSC exam question paper With Answer key. Following General knowledge GK question are very important questions as per as concern of Upcoming of FCI examination. these question were asked in previous year SSC Examination . No Need to download PDF for SSC FCI Previous year Exam Question paper. UpJob.in brought Solved Question for Food Corporation of India Assistant Grade 3 AG III recruitment Examination for General Awareness. Hope following question paper may be also helpful for upcoming SSC, Bank , railway bharti pariksha.